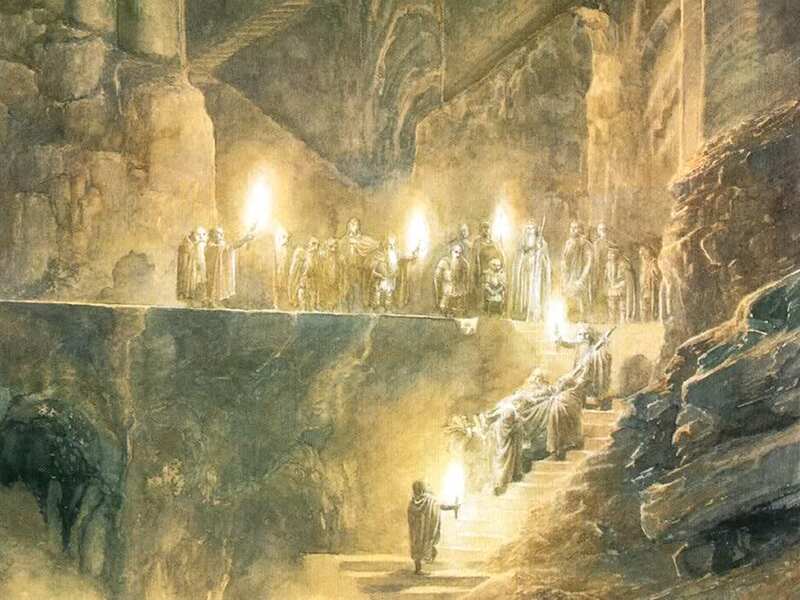 While our heroes are questing through the Fords of Isen, the mountain of Methedras, and Fangorn Forest at Saruman’s bidding, Fantasy Flight continues to drop previews of our upcoming adventures in the Ring-maker cycle. The cover art of the second pack titled “The Three Trials”, caught the attention of Cardboard of the Rings co-host Jared, who is running a contest on their Facebook page for players to guess the card type, sphere, keywords and stats of this new character. Those still wanting to enter can find an answer to at least one of those questions on artist Jake Murray’s DeviantArt page where he has posted a high resolution version of this artwork. 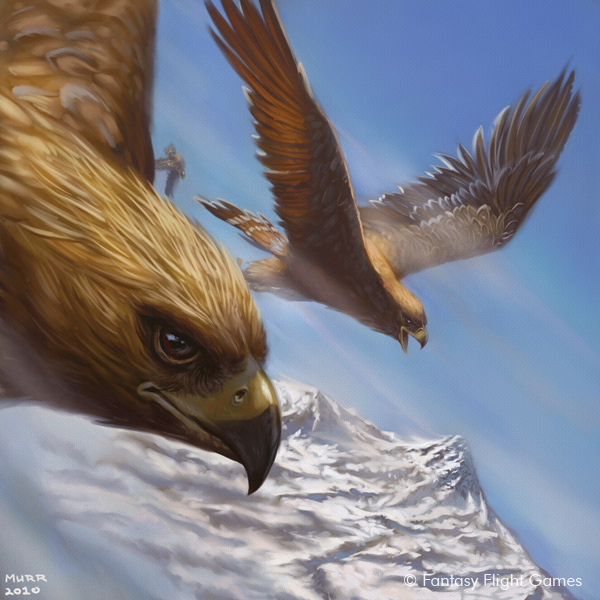 We’ve featured Mr. Murray’s work at Master of Lore twice before, both in The Eagles Are Coming! and Dori and he’s outdone himself again here, presenting a bold portrait of who he calls “a hardened female ranger of the Dúnedain”. Her name appears to be Idraen, which means she will be joining the ranks of FFG-created characters intended to round out the gender balance in Middle-earth. Mr. Murray says that he rather enjoys illustrating these non-canonical characters as he gets more artistic license to create his own vision of their persona. In the case of Idraen, his goal was to portray “someone who seems much older and more jaded on the inside than she really looks on the outside.” I’d say he’s done an impressive job! In Peter Jackson’s Extended Edition of The Fellowship of the Ring, these final words of Gilraen are engraved on her tombstone in a touching scene of Aragorn visiting her memorial before the Company departs following the Council of Elrond. Of course, unlike Tolkien’s Aragorn who encourages his mother that “there may be a light beyond the darkness”, Jackson’s Aragorn initially wants nothing to do with his destiny and is a much more reluctant king. Gilraen’s character is also fleshed out in the brilliant feature length fan film Born of Hope which “follows the lives of Arathorn and Gilraen, the parents of Aragorn, from their first meeting through a turbulent time in their people’s history.” Anyone interested in the Rangers of the North will love this film. 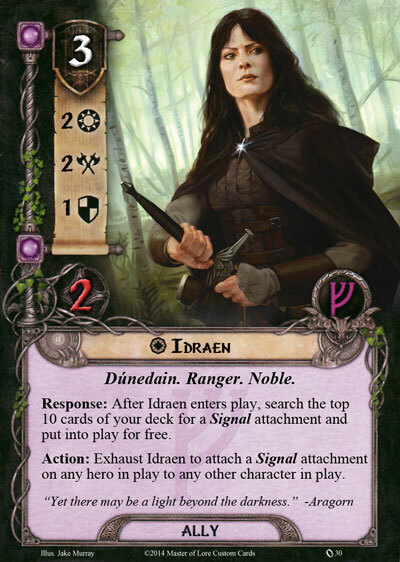 Assuming some relation to Gilraen, maybe our new character Idraen can be imagined as an aunt or perhaps a cousin to Aragorn. 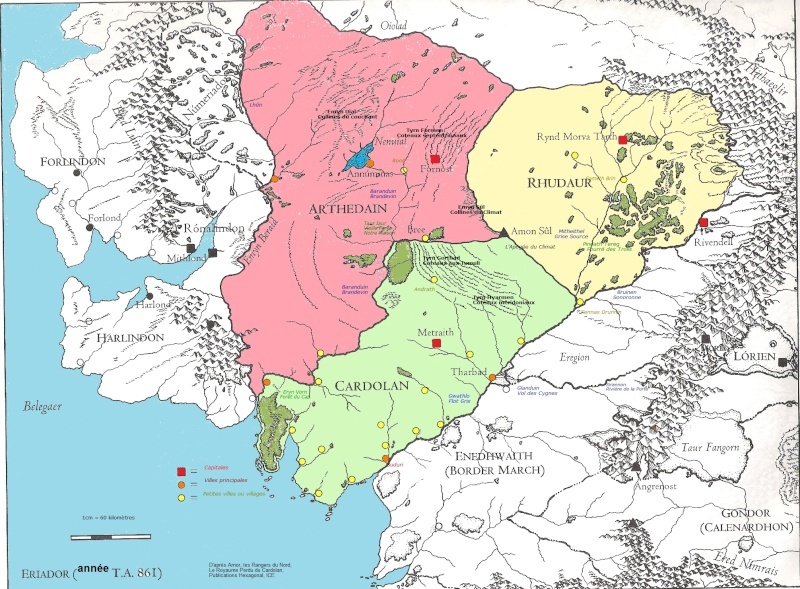 Aragorn’s final meeting with his mother takes place within the time period of our game (the 17 years between the Long Expected Party and Frodo’s departure from the Shire) and so Idraen may be “hardened” and “jaded” by the despair of her relative Gilraen, yet she is still fighting for a chance to see Aragorn’s “light beyond the darkness”. At least, that’s the story I have in my mind for the character! In terms of gameplay, I’m hoping that the Idraen card will make a Dúnedain deck a more viable archetype. 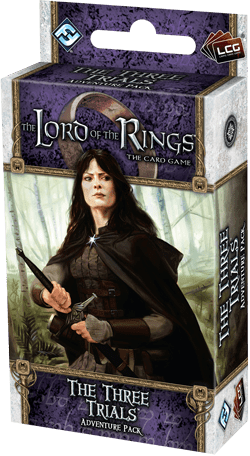 As FFG’s preview article says this pack will support “a wide range of player themes and mechanics that include the Noldor, Dúnedain, and Scout traits”. For me, I’d love to see Idraen as an ally that allows players to use the Signal attachments more readily and move them to allies as well as heroes. Take a look at my custom Idraen and let me know what you think. What other abilities would you like to see on a Dúnedain card in order to give the trait more synergy and theme? I didn’t think that she might be a hero, but I love the idea. Have we seen hero card’s art on any previous AP cycles? It would be awesome to have a low-threat Dúnedain hero or a Mirlonde-type threat reducing hero that gives a deduction if, say, all your heroes are Rangers. That said, I think that if/when we finally get our Ranger hero, it’ll have to be Halbarad, the leader of the Grey Company who came with Elladan and Elrohir to Aragorn in Dunharrow. Thanks for your thoughts and here’s hoping for many cool Rangers on the horizon! The threat thing is tricky because (1) they are meant to be very stealthy, but (2) they are also kind of high on the Enemy’s hit list. They’re ‘threatened’ as such. Thematically, threat is a tough concept to wrap my head around. Is it how much I threaten Sauron? If so, why do I die when I become to much of a threat to him? So is it how much Sauron threatens me? That makes more sense for the encounter card engagement and so on, but then why is Glorfindel’s threat so low when he’s the only hero that’s fought off a Balrog and lived to tell the tale? I think that’s why a high threat Ranger who gets the starting discount only when all heroes are Rangers makes the most sense. Yes, you’re right about Elladan! Well, now I’m really hopeful that Idraen may be a threat-reducing Ranger hero!